Question: I need your help. 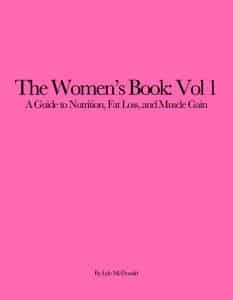 I am 37 year-old female about 128 lbs. with my last bodyfat at 18.7%. I lift 3 days a week, two with a trainer (who refers to me as a hard gainer). He continues my workouts @ 15 reps per set for all body parts with a decent amt of weight. I have not been able to budge my lean body mass/bodyfat for months. My diet is fairly clean but erratic (night shift physician) and typically i fall off the wagon and binge on a very large meal every several days, not bad food but lots of it…My goal is 17%. Should I use the rapid fat loss plan for 10 days (category 1)? My trainer says I dont eat enough carbs and will never get bigger/stronger without more carbs in my diet….Thoughts? I know how busy you are, it would really help me to get your expert opinion. Answer: Ok, there are really two issues at stake here. The first is that your trainer seems to be slightly clueless to the fact that gaining lots of muscle and strength is generally antithetical to the goal of getting lean. Can it be done? Sometimes. But for most people, picking one goal and then optimizing training and diet towards that goal generally works better than trying to do all things at once. Most people will simply end up spinning their wheels trying to do that. Put differently, if you want to get lean, you’re going to have to accept that you may not make any strength gains, or that they will be small. Aim to maintain your current strength while leaning out. If you want to get big and strong, then dieting is not the way to do it. You should optimize your diet and training towards that goal. Pick a single goal and work towards it. Find a trainer who knows what he’s doing when it comes to training.